YG YANG HYUN SUK releases new boy group TREASURE13, MAGNUM, TREASURE & BLACKPINK's plan. Hello, this is YANG HYUN SUK. I don’t remember exactly but was it the year 2001? The first pass-through I used to communicate with the fans as a music producer was FROM YG. It’s already been 18 years. But the fans felt disappointed when some of the plans I mentioned got delayed or cancelled, so I stopped writing FROM YG for 4 years as a result and started writing again last year. I myself am only a person so I tend to be ambitious when setting the New Year plans and goals. I hope the readers would simply use FROM YG as a reference or information from a close friend, rather than expecting everything to happen for certain. Q. Tell us about ‘YG TREASURE BOX’ in detail. 7 members of ‘TREASURE’ were selected, and 6 people were additionally announced as a new group. What were the selection criteria and when will they make debut? A. As we were going through ‘YG TREASURE BOX’, the program with the greatest number of trainees of 28 among all survival programs launched by YG to select members of BIGBANG, WINNER, and iKON, the most frustrating fact was that I can’t get every promising trainee into the little boat, despite the acknowledgement of their potential. That is why I selected 13 final members by getting another boat. and it is not easy for me to grasp the trainees’ individual charms, strengths, and tendencies since the events take place for me to evaluate their vocals and dance. as they will be with YG for more than 10 years from now. A well-served meal needs a combination of food that go well together and less side dishes that overlap with each other. 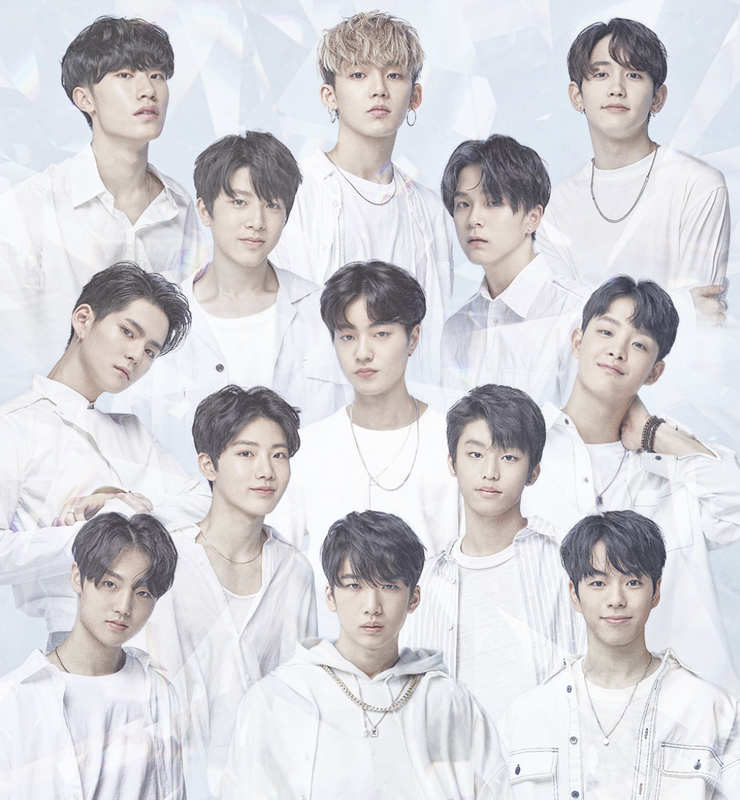 Like a soccer team that doesn’t send out 11 strikers for a game, the selection criteria of ‘YG TREASURE BOX’ was to select members that fit each position appropriately and to achieve balance and harmony within the team. Q. Will both teams make debut this year? A. This may shock the fans, but the first combination I wanted was with 13 members. To be precise, I plan to make the 13 selected members make debut as a team of 13, with the name ‘TREASURE 13’. the parts and roles each member will take within a song reduces significantly, so they will have to come down the stage after performing only a few bars, which is a clear drawback and limitation. Therefore, I plan to put emphasis on each individual’s capabilities through the group activities of ‘TREASURE 13’ along with the two teams’ separate acts. and although the teams started in two separate boats, they are heading towards the same destination. Q. What is the team name of the group composed of 6 additional members? BLACKPINK has previously mentioned that it was their team name candidate during a TV show, and since it has been known that YG registered a trademark on the name, the fans have been anticipating that it will be the official name. people often use the phrase ‘drunk on music’, ‘’drunk on alcohol’, and ‘drunk on the vibe’, and the 1.5-liter double sized bottle of luxury wine is called ‘magnum’. I used this as the team name with the hope that the entire globe will be drunk on the team’s music. I’ve registered trademark on the team name after thinking that it would fit a male group rather than a female group. Q. When will ‘TREASURE 13’ make debut? and we plan to let ‘TREASURE 13’ grow fast through aggressive and consistent releases of new songs. After the successful debut of ‘TREASURE 13’, ‘TREASURE’ and ‘MAGNUM’ will act as two separate teams. Q. Will there be any promotion plans prior to their debut? and broadcast a show containing the debut preparation process and the fun daily lives of the 13 members. and will additionally use various platforms including TV broadcasting. Q. Is the fan-cub name for ‘TREASURE 13’ decided? A. We plan to unite the fan club names of the three teams into one. I think the name has appropriate meaning. Q. Are there any differentiated strategies or differences of ‘TREASURE 13’ compared to previously launched groups? WINNER and iKON can be categorized as the second generation, and ‘TREASURE 13’ can be categorized as the third. The common factor shared by their senior groups is that they are ‘artist-type idols’ or ‘self-producing idols’, teams with all members participating in the composing and writing of their own songs. In the case of ‘TREASURE 13’, we will not encourage the members’ participation on the writing and composing of their own songs and will use YG’s specialized production method. their break period gets longer, which is a clear weakness. As TEDDY is responsible for all of BLACKPINK’s music while the producers of The Black Label participate, the music for ‘TREASURE 13’ will be prepared and constructed by the 30 music producers who are signed to YG, The Black Label, and recently established YGX with speed. Please show love and support along with keen attention to the successful debut and growth of ‘TREASURE 13’. I will come back tomorrow with news on BLACKPINK’s upcoming release in the interests of time.